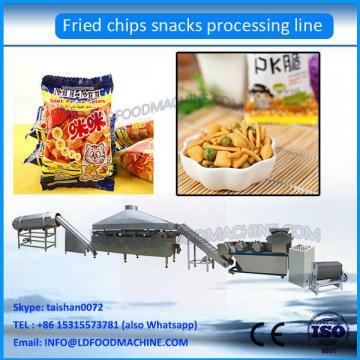 Fried Wheat Flour Snacks machinery Fried Chips Production Line usee double-screw extruding technique to replace the traditaional steam boiling process. It includes mixing, steaming, curing, extruding, and shaping processes, no boiler, with high efficiency and no pollution. The raw material can be the rice flour, wheat flour, corn flour and their mixture. It also can make different shapes by chaing different shapes. this machinery is a shaper machinery ,it wirh wheat flour make different shape and different size snack . 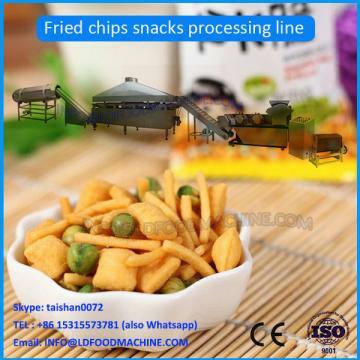 this machinery with hot oil to frying snack ,it with electric or diesel or gas as Enerable,it can fry different kinds of snack ,its a fully automatic system. this LDinw with two drums and one powder hopper,it can put flavoring powder inside ,and it with conveyor and LDer machinery ,it with automatic flavoring function. 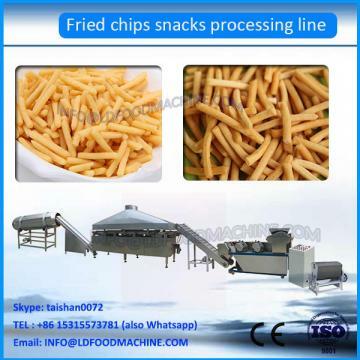 this machinery for cooling ,after frying ,the products keep temperature,so beforepack,it need cooling better.